Blogging Black.Com Invites You to join Black America Space.Com. It is one of the hottest MySpace pages on the Social Networking Website. 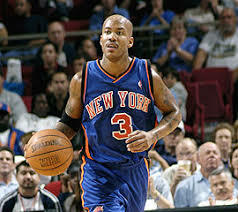 Blogging Black.Com salutes Stephon Marbury of the New York Knicks. His Starbury Collection will be the rage of the inner city. The price of his line of tennis shoes will be around $15 a pair. Can I have a pair please? Mr. Marbury also gave a million of his own money to Hurricane Katrina relief efforts. Hats off to the brother! Blogging Black.Com salutes the hottest African American MySpace.Com page on the entire web. Black America Space.Com is one of the fastest growing African American MySpace Pages on the Internet!